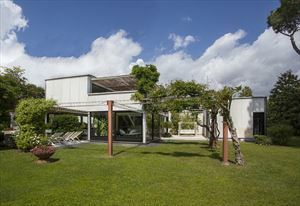 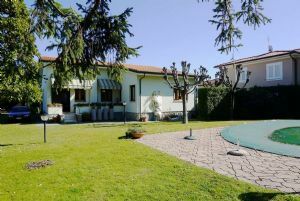 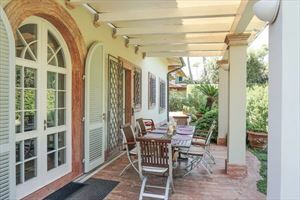 Outside there is a covered veranda with dining table, an entrance hall adjoining a kitchen, a bathroom with shower, a single bedroom, two double bedrooms with bathroom with shower. 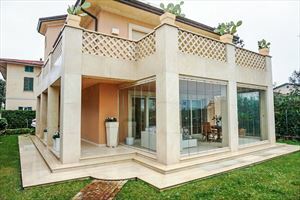 The first floor, accessible through external stairs, includes a further living room with adjoining dining room, three double bedrooms with exclusive service with bath or shower, and an additional bathroom with shower. 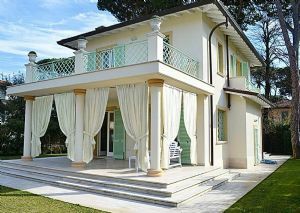 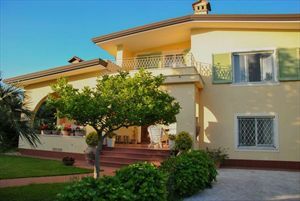 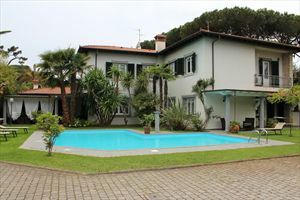 The Villa is also equipped with air conditioning, alarm system, Wi-Fi Internet connection and parking space.